You are correct in saying that disinfectants are registered pesticides and are antimicrobials. However, disinfectants are included in the list of pesticide products that are exempt from most of the requirements of the Healthy Schools Act. The reason that they are exempt is because they are used for health and safety purposes. If a school employee uses these products, they do not have to add them to the IPM plan, notify, post, report, or keep records. However, anyone using these at a school site must take the annual training required by the HSA. 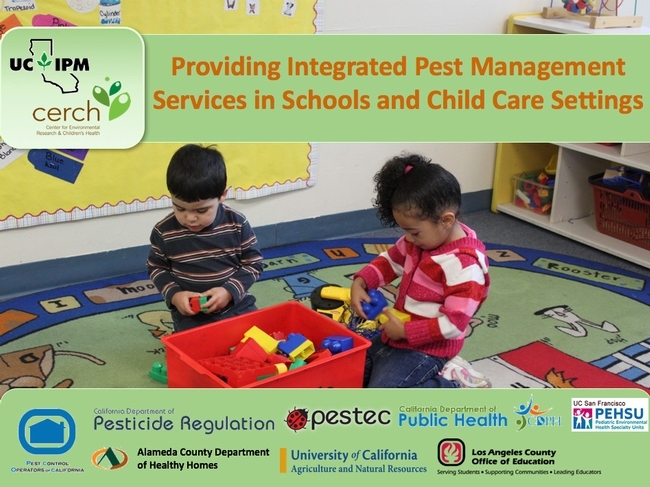 Disinfectants or other registered pesticides are NOT exempt from the training requirement. The use of hand sanitizers actually does not fall under this new requirement. As they are applied on the human body and not on an object such as a desk or countertop, the training requirement wouldn't apply. If you are a licensed pest management professional and report these as part of your work, that would not change. You would continue to report as you normally do. 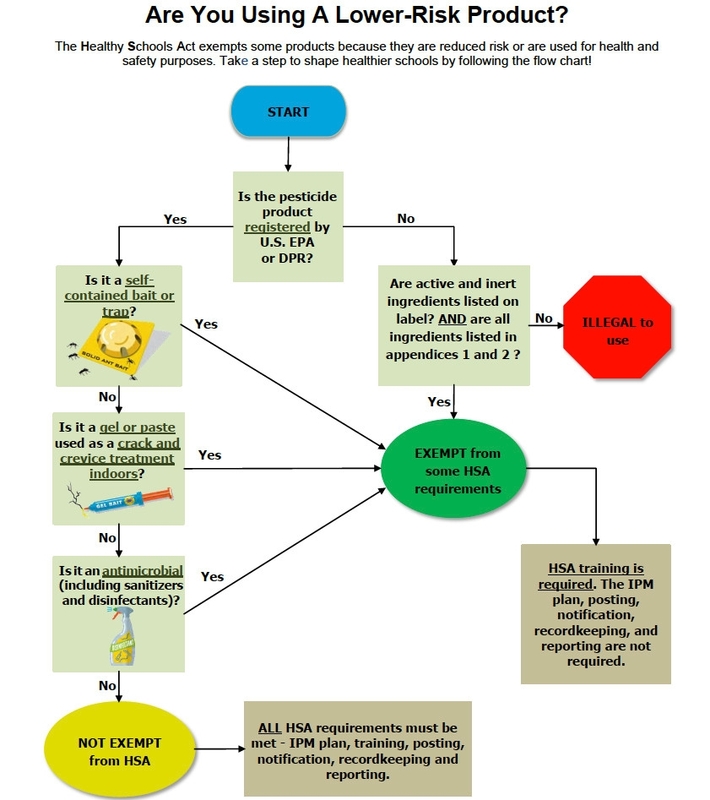 Here is a little more information on antimicrobials and the Healthy Schools Act from the Department of Pesticide Regulation website. I hope this helped clarify a little.